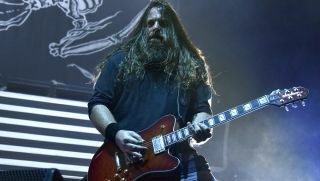 Lamb of God guitarist Mark Morton has announced initial tour dates in support of his forthcoming debut solo album, Anesthetic. Morton’s band for the shows will feature Bad Wolves and ex-God Forbid guitarist Doc Coyle, Sons of Texas singer Mark Morales and bassist Nick Villarreal, and drummer Art Cruz, who has played with Prong and Winds of Plague. The outing will also feature co-headliners Light the Torch and support from Moon Tooth. Morton’s Anesthetic will be released on March 1 via WPP Records and Spinefarm Records. You can check out the full tour itinerary below.